Get 30% Off with a Premium Membership. Everything is energy, including your emotions. Acting as waves of energy at different frequencies, emotions can sometimes overwhelm us and cloud our minds. Living beyond emotion is not about being detached, rather it is about knowing how to manage the waves of emotions and recognizing that emotions are not you, but yours. In this course, master ByukWoon shares the art of Jigam (chi-energy meditation) and energy sensation as a tool to ride the waves of your emotions. Sensing the chi-energy (vital life force) that is constantly coursing through your body will help you recognize an emotional wave when it comes and more easily connect to your chi-energy to ground down for the ride. The more sincerely and intentionally focused you are, the more quiet your mind and emotions become. Jigam can be used to combat stress at work, home and in life in general. When we are more grounded within, we are less affected by emotional waves and can observe the happenings in our lives without becoming overwhelmed. Be the first person to review this course! 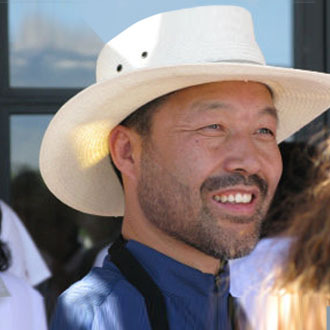 ByukWoon has been studying the ancient mind-body method of Sundo since the early 1980s. At first self-taught, he continued his training under the guidance of his spiritual teacher, Ilchi Lee. His influence has spread throughout the world and includes individuals from Korea, USA, Canada, Japan, Britain, Germany, France and Russia. Today he serves as Trainer and Instructor at Sedona Mago Retreat in Sedona, Arizona.